* Limit one coupon, discount or offer per customer. Discounts, coupons or other offers may not be combined with any other offer. No cash/credit back. Not valid on prior services. 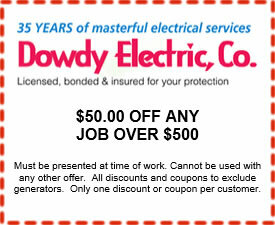 All discounts, offers, & coupons to exclude all generator related services, repairs, parts, and generator furnish and installs. 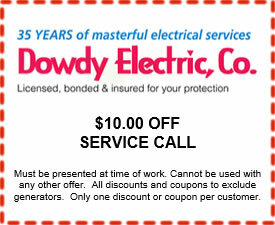 All discounts, coupons & offers must be presented at time of service.